Vox staffers are evidently attempting to unionize. Their editorial workers just voted to unionize in shop. Big mistake, but hey… they are communists, so it’s a natural progression for them. An estimated 350 to 400 editorial and video production people will be covered by the new unit of the Writers Guild of America East, a union spokesman said. This comes just weeks after local news websites DNAinfo and Gothamist were shuttered after both newsrooms successfully unionized. The news sites’ owner Joe Ricketts cited the decision to join a labor union as one of the “obstacle[s] making it harder for the business to be financially successful.” Unintended consequences once again. Enter German Lopez of Vox infamy. In a lucid moment of truthiness, he stepped in it big time. He’s against the unionization and said so on Twitter. He evidently sees it as a way to protect his lazy comrade journos. I’m sure that went over like a lead balloon. “I know writers who want a union as protection for laziness, which will make a lot of things worse (including for writers).” It doesn’t help that it is the harsh truth. 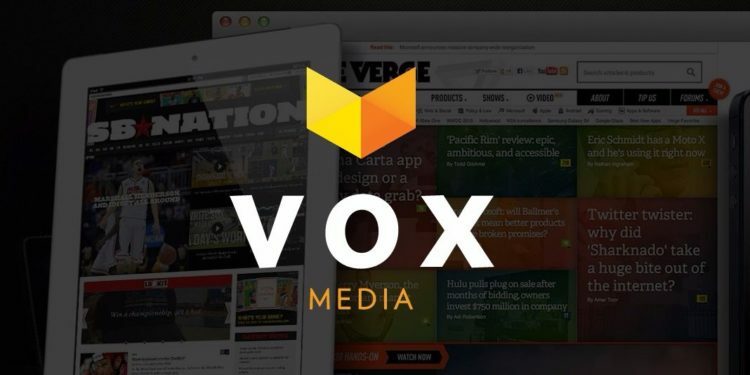 He says Vox Media is a generous company and people are looking to take advantage of that. Well, duh. They’re communists… what did you expect? Since Lopez loves unions so much, he will now get to experience one. Even if it is just briefly before Vox bites it like the other liberal outlets. He’s calling his fellow writers lazy – why not name names, German? I’m sure your comrades would really like to know who you see as lazy in the pit. This is going to be interesting to watch as it blows up. I’m no fan of Vox, never have been… but I always enjoy watching communists come undone. It’s actually my favorite pastime. “By organizing, we intend to protect the nimble culture and inclusive, forward-thinking values that make this company great, and to ensure all concerns and challenges can be addressed by a collective voice,” the Vox staff’s open letter read. “An empowered team is an ambitious team, and the greater transparency and collaboration offered by a union will allow us to thrive and take risks in an ever-changing industry.” Uh, no… you are doing it for higher wages and guaranteed work and healthcare. All of which goes away if Vox shutters. More unintended consequences on the horizon. One website in the Vox Media system, SB Nation, was criticized after a Deadspin article in August detailed how the site paid managers and contributors low wages while expecting them to produce like full-time employees. Plus what Lopez is saying is hypocritical. Charles C.W. Cooke tweets, “I’m supportive of unions, which don’t do the things critics say they do. I’m just against the one that might be set up at my workplace, which will do those things.” Good point and well made. It’s one thing when it’s happening to other people, but when unionism and communism come knocking at your door, it suddenly gets all too real.